It seems like winter in Utah is not complete without temperatures low enough to cause the pipes inside your home to freeze. The potential danger is when the water freezes and expands so much that it bursts the pipe and you end up with flooding. Unfortunately, every year a few unlucky Utah homeowners find this out first hand. There are some things you can do to help avoid this happening to you. 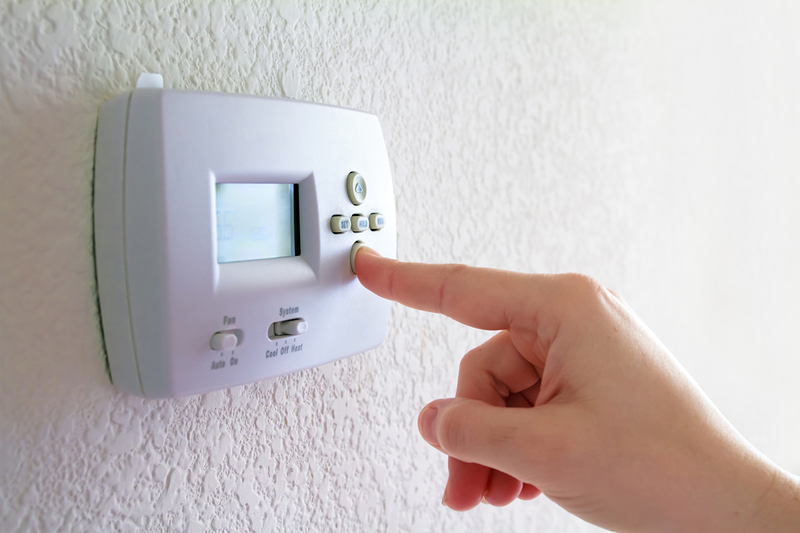 Even if you're planning on being gone for an extended period of time, keep your thermostat at 55 degrees or higher. Never turn it off completely or it can cause the inside of your home to be really cold and allow pipes to freeze that otherwise might not. 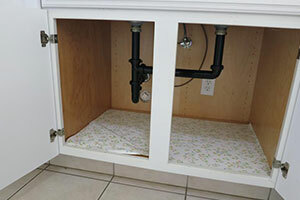 The space under sinks can get very cold, especially in basements or along exterior walls. Keep them open when temps are really low. This helps the warm air in the room circulate around the water pipes. Keep the hot and cold valves slightly open to keep water flowing on really cold nights. It should be just a trickle (more than a drip) but not a lot of water flowing. Also, the water shouldn’t be left on for a long time. Cold air can get in around doors and windows. 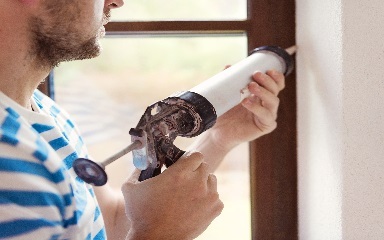 Using caulking or insulation can help reduce heat loss from those areas. Also insulating attics, crawlspaces and basements is a good idea to help keep temperatures consistent. Take an additional step to insulate your exposed pipes from the elements by wrapping them in installation. This is a DIY project with materials that be purchased from your local hardware store at a very affordable cost. 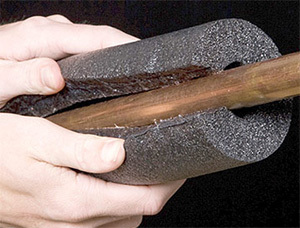 By keeping the pipes warm with the pipe sleeves, water is less likely to drop to freezing temperatures. 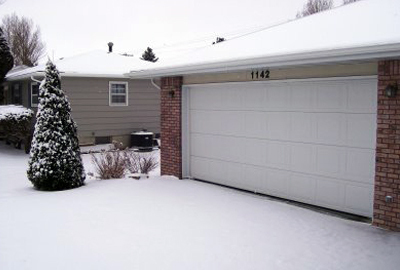 If you have a garage with water pipes running through it, keep the garage door close as much as possible to keep cold air from coming inside and making the overall temperature in the garage lower. Leaving a water hose connected to your house can prevent water from being able to drain out of the hose-bib (outside faucet) going into the house and cause problems if it freezes in the line. 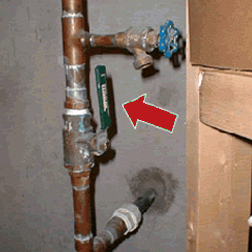 If you have a line inside the house feeding your sprinkler system, you will want to shut off and drain that as well. For only a few bucks and a quick drive to your hardware store, you can purchase covers for your faucets on the exterior of your home - they even can be ordered on Amazon. These are often referred to as freeze caps, faucet covers or hose bib covers and are made from either styrofoam, insulated nylon or plastic. 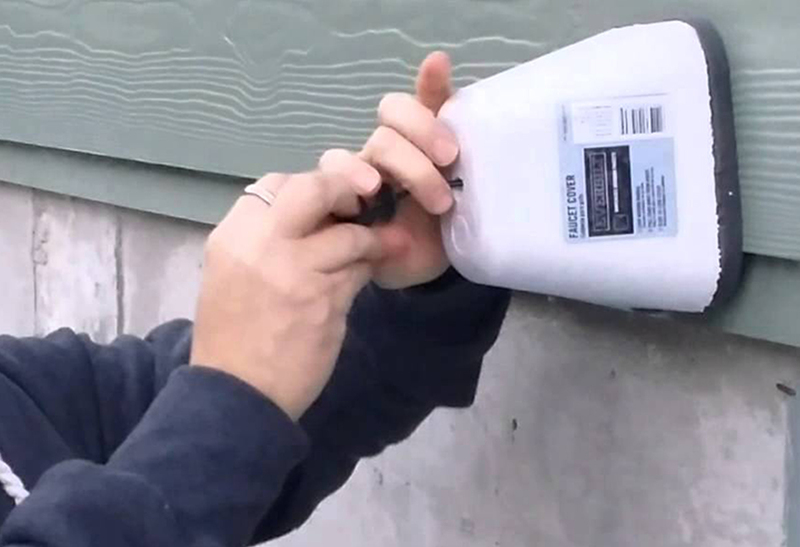 They help insulate your outside faucet area and help keep it from freezing. Sometimes all you do isn't enough and your pipes still freeze. 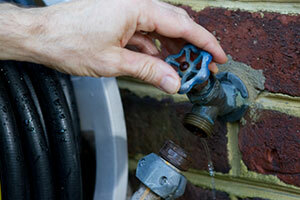 It is best to make sure you know where your main water shutoff is for your house. If the unspeakable happens and you end up with flooding, you can at least shut off the water quickly and minimize the damage. So, learn where your main shut-off valve is and how to turn it off. If the valve handle is faced parallel to the pipe when the water is on, to shut it off, you would turn it to a 90-degree angle or perpendicular to the pipe. If you need help finding yours please ask a neighbor or plumber friend to show you. Sometimes you may not realize you have a leak until the spring when you go to turn on your outside faucets. So be sure to check when you turn the spigots on for the first time next spring. 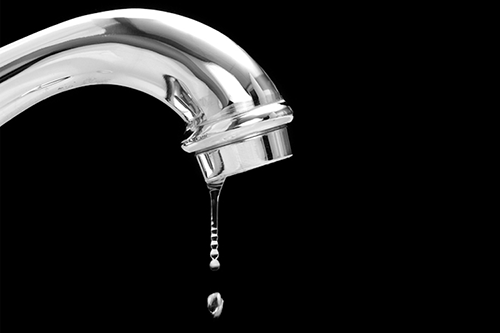 If you do end up with a leak you may want a plumber to help you repair those. If you don't know anyone, Any Hour Services is happy to help in any way you need us to. We hope you stay warm and leak free this winter!